The trials and errors that went into decoding the 15th-century Voynich manuscript could give The Da Vinci Code (Doubleday, 2003) a run for its money. The Voynich manuscript is a cryptic manuscript that nobody has been able to read till now and was considered to be an alien language. But recently a computer scientist and NLP expert from the University of Alberta claimed that the mysterious document is actually written in ancient Hebrew and that he has deciphered the riddle with the help of artificial intelligence. Deciphering ancient manuscripts has never been an easy job for historians and cryptographer. But now, the Canadian researchers have simplified the tough initial process of decoding the language framework of the manuscript by using AI. Since the 17th century, the manuscript is believed to be the work of the 13th-century English alchemist Roger Bacon. Voynich manuscript is exactly a 234-page manuscript, filled with seemingly coded language and inscrutable illustrations. The whole manuscript majorly consists of pictures of plants and women along with multiple astrological diagrams. It reportedly has seven separate sections: botanical, astronomical, cosmological, zodiac, biological, pharmaceutical, and recipes. Greg Kondrak, a computer scientist and an NLP expert at the University of Alberta along with his graduate student Bradley Hauer knew that it was a perfect task for an AI and set out to use computers for decoding the ambiguities in human language using the Voynich manuscript as a case study. The first step was used in addressing the language of origin, which was exquisitely enciphered on hundreds of delicate vellum pages with accompanying illustrations. Kondrak and Hauer used samples of 400 different languages from the “Universal Declaration of Human Rights” to systematically identify the language. 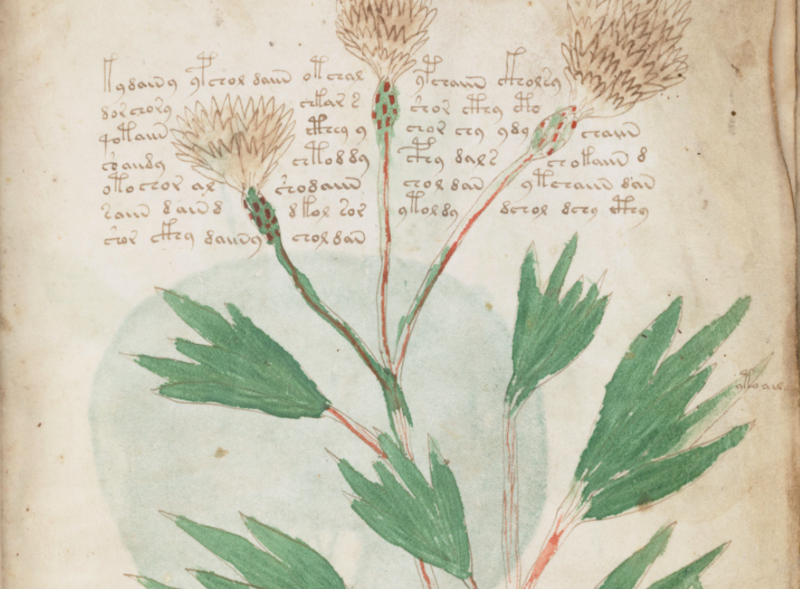 The scientists initially hypothesised that the Voynich manuscript was written in Arabic. After running their AI algorithms, it turned out that the most likely language was Hebrew. Kondrak and Hauer hypothesised the manuscript was created using alphagrams, defining one phrase with another, exemplary of the ambiguities in human language. Assuming that, they tried to come up with an algorithm to decipher what type of scrambled text. “It turned out that over 80 per cent of the words were in a Hebrew dictionary, but we didn’t know if they made sense together,” said Kondrak in the university press release. According to Kondrak, human language is used to communicate with other humans, but computers don’t understand this language, because it’s designed for people. Also, there are so many ambiguous meanings that humans don’t even realise. Natural language processing can help computers make sense of human language. These Canadian researchers also accepted that they have found the language of the manuscript and are working towards applying more varied AI algorithms that they have developed for other ancient scripts along with help of ancient Hebrew historians and linguists to fully decipher this mystery book. There have been multiple attempts to decode the Voynich manuscript. A self-proclaimed “prophet of God” in 2011 claimed that he had decoded the book. Researchers in 2014 argued that the illustrations of plants in the manuscript could help decode the text’s strange characters. Deciphering the manuscript can be done only when the origin of its language known which is considered to be the first step, which AI did for Voynich manuscript. Despite the breakthrough, the book still remains untranslated completely. The full meaning of the text will need the involvement of various historians and linguists of ancient Hebrew and AI /NLP experts to help translate the whole text to unlock its true meaning. 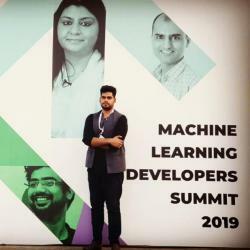 It’s just another accomplishment for AI technology which has transformed multiple industries to have initiated another scientific angle to decode the Voynich manuscript completely.